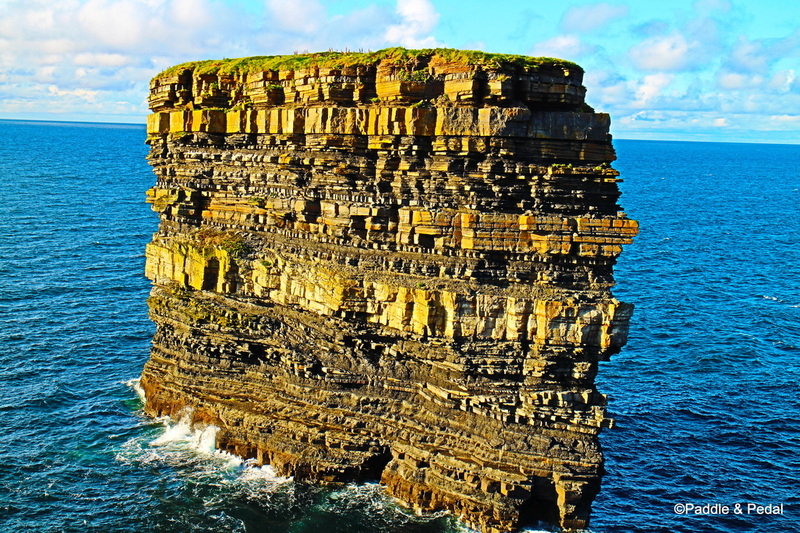 Down Patrick Head and its magnificent 60 meter sea stack Dun Briste is a key discovery point on the Wild Atlantic Way. This spectacular headland is unrivaled in its mysterious beauty and history. 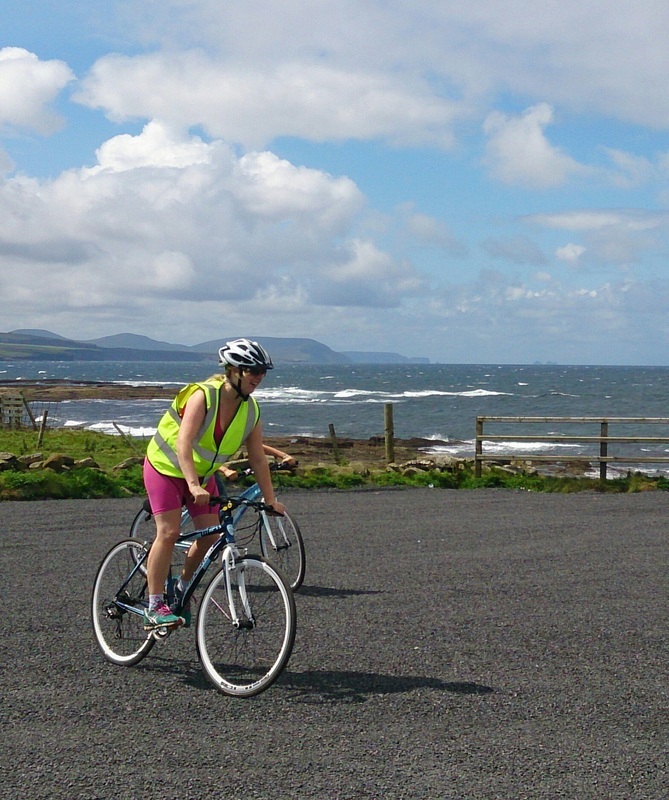 Our cycling tour starts in the picturesque village of Ballycastle Co. Mayo where you will be fitted with your bike and safety equipment for the tour. 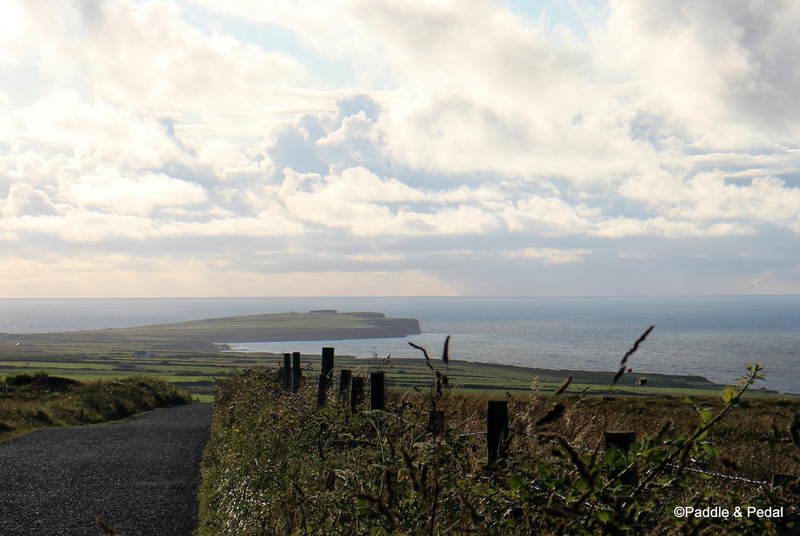 As you leave Ballycastle along a country road you see the vast Atlantic ocean spread out below and sense that something special lays ahead. A long gentle decent down winding country roads brings you to the sea front where the ground steadily rises towards the headland. As you make your way to the headland along the grass path you will visit the magnificent "Spirit of Place"art installation created by Travis Price and his team of students and local workers in 2014. 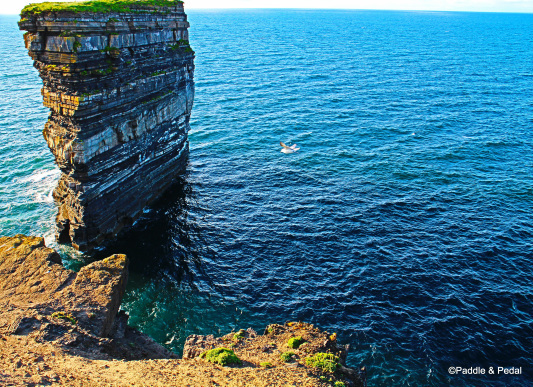 The "Crossing" gives visitors the opportunity to get close to the huge blow hole Poll na Seantoine and a unique place to reflect and connect with the history of the place. 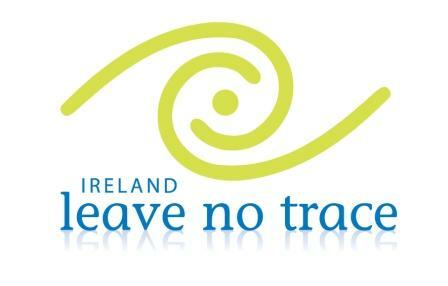 At the headland there is also a World War 2 look out and Eire 64 navigation markings. 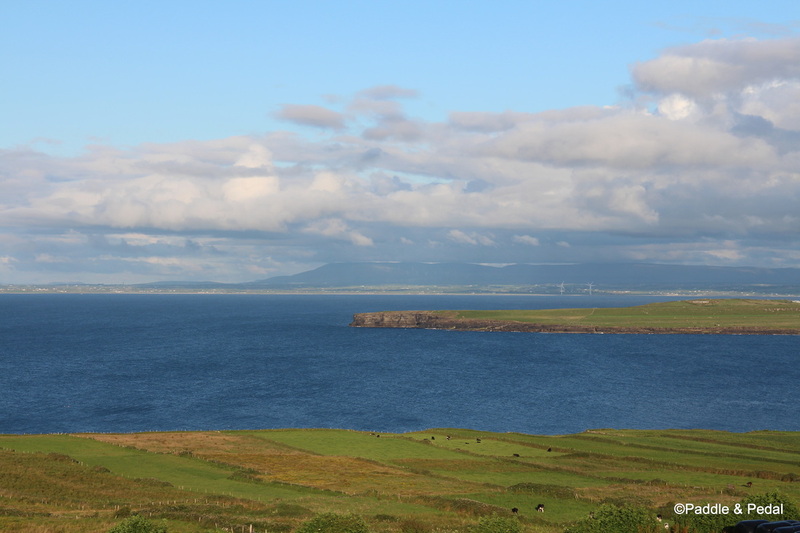 Downparick Head is a truly spectacular tour and a must do experience on the Wild Atlantic Way route.